Patients not taking prescriptions after being discharged often end up being readmitted. This can result in as much as a two percent Medicare reimbursement penalty for facilities that have too many patient readmissions within 30 days of discharge, and a three percent maximum penalty for the same infraction starting in 2015. So are patients following through, filling and taking prescriptions after discharge? In a word, no. Hymel is not alone in trying to increase prescription adherence post discharge. 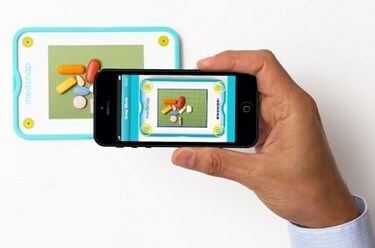 Timothy Aungst, PharmD writing on iMedical Apps, asks, "Wow about a combination of a pill bottle and app? Welcome to AdhereTech, a recent startup that seeks to address medication non-adherence with a revolutionary new ‘smart pill bottle.’ The bottles come equipped with 3G and LTE capabilities, and will be able to sense and transmit the contents of the bottle to the cloud through HIPAA compliant means. Figuring out exactly why patients don’t stick to their prescription regimen is key to reversing the growing trend of non-adherence. If physicians know what it is about the prescription that lead a patient to not take it, the physician can make other suggestions or explain how the drugs should be taken.